The waves are huge today at Banana Bay. What a magnificent view! However, If you want to snorkel today, you just might have to be very disappointed. What a metaphor for our everyday life?! If you choose a perspective that allow you to enjoy what Universe brings, your life is magnificent. If you choose to find dissatisfaction, that is very easy to do. Every day of your life can be miserable. And it is created by you, your internal world. So what perspectives do you choose in every moment? We all need good villain stories in our lives. But we don't have to be a victim in the story. In our stories, there is always a person who treated us poorly for whatever reason we made them to be. We always somehow justify our slashing out behavior. We all tell ourselves that I am the good guy and they are the bad guy. And then we became the villain of their story and begin to treat the other person as how we see they deserved it. This seems to be an endless cycle, in human perspectives. Is there a way out? I think only in fairy tales. In this plane of reality, or you may call it this plane of universe, there is no way out. This the human illusion that we all agree to play in. The way out is, you find another level of parallel reality (parallel universe), that the Soul of the villain did you a favor. They are dark angles who helped you find your freedom, your power, your truth, or what may. This soul is the hero! This is a truth in another reality. It does not co-exist in the same plane of reality with the villain story. 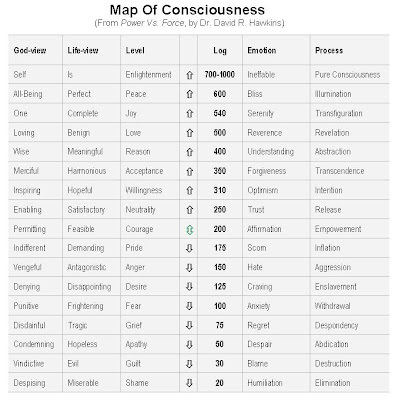 In a villain story, you may feel betrayed, angry, resentful, sad, broken-hearted, hatred, dissatisfaction, worthlessness, all of these emotions put you way below calibration 200, in Map of Consciousness. David Hawkins' "Power Vs Force". Your villain story is true, in some level, in your internal experience that is created by your internal world . Yet the hero story allows you to free yourself from your self created-agony, and place you at the 350 (acceptance) and above. You would start to accept the fact, the villain in the story plays a different character, a secret hero, you gave them a different meaning (400) . Eventually, you find Gratitude, Joy (540) and Peace (600)... and you figured out why everything is the Universe's humorous perfection (600) after all. This is the the heaven and the hell that we can create for ourselves. You can not be in hell, feeling rage, vengeful, resentment, worthlessness and shame, and at the same time feeling Unconditional Love, Gratitude, Joy and Peace. Your power does not come from anger, does not come from putting others down, does not come from attacking your villain. You may feel a temporary rush of "high", because you just stepped up from a lower state of calibration. ie, from fear (100) to anger (150) or from shame (20) to pride (175). This is where your real power is: To decide which story you want to fade out in your mind. When you get to the state of non-duality(600 all-being, perfect), you no longer see villain as villain. You no longer judge their behavior or your own. You no longer have shoulds and shouldn'ts in your personal principles. You will still play the game of Human Reality. You still participate in the cycle of Law of Attraction. That is, you will still do things in response to Law of Attraction, others may judge your behavior as bad, as not spiritual, as poor taste.... because that is how they perceives your behavior, still from the duality state, from a judgmental mind. You will be the only one who understand that this is how it is supposed to happen. And you will have to be OK with it, and not judge yourself for what you do. Even though you may look like a villain in many people's perspectives. They will always give you their opinions of how you should be and what you should do. Your story and your behavior only triggered a process of their internal world, creating their own internal experience. There is a time that you will be confident and comfortable with the version of story you choose despite what others think and tell you. Your truth, your life, and your inner experience is your freedom to live and create. 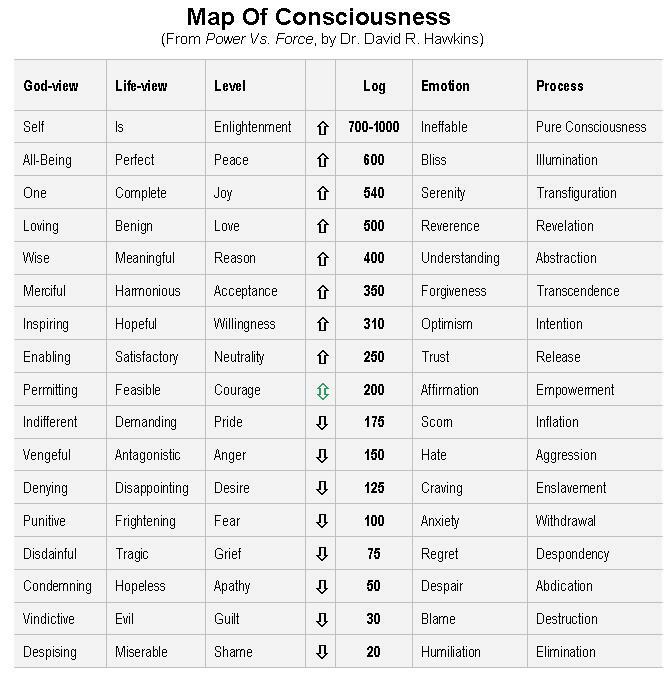 the question is, what are you feeling and where are you on the Map of Consciousness?! Do you enjoy how you feel? Are you satisfied with the calibration?